Social Implications and Impacts. Introduction. Sociological and Cultural Aspects. Threat Vectors. Risk Management. Governance and Management. Disaster Recovery and Business Continuity of SCADA. Incident Response and SCADA. Forensics Management. Governance and Compliance. Architecture and Modeling. Communications and Engineering Systems. Metrics Framework for a SCADA System. Network Topology and Implementation. Commissioning and Operations. Obsolescence and Procurement of SCADA. Patching and Change Management. Physical Security Management. Tabletop/Red-Blue Exercises. Integrity Monitoring. Data Management and Records Retention. Conclusion and References. The Future of SCADA and Control Systems Security. 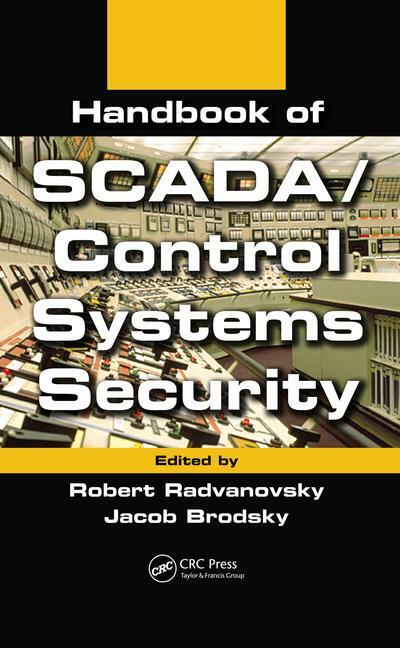 Appendix A�Listing of Online Resources SCADA/Control Systems. Appendix B�Terms and Definitions. Index. Robert Radvanovsky is an active professional in the United States with knowledge in security, risk management, business continuity, disaster recovery planning, and remediation. He has significantly contributed to establishing several certification programs, specifically on the topics of "critical infrastructure protection" and "critical infrastructure assurance." He has published a number of articles and white papers regarding this topic. Significantly involved in establishing security training and awareness programs through his company, his extracurricular activities also include working several professional accreditation and educational institutions, specifically on the topics of homeland security, critical infrastructure protection and assurance, and cyber security. Jacob Brodsky has worked on every aspect of SCADA and control systems for Washington Suburban Sanitary Commission (WSSC)?from the assembly language firmware of the RTU, to the communications protocols, the telecommunications networks, the data networks, systems programming, protocol drivers, HMI design, and PLC programming. In 2012, he was elected chairman of the DNP User group. Jake has contributed to the NIST SP 800-82 effort and to the ISA-99 effort. He is a registered professional engineer of control systems in the state of Maryland.